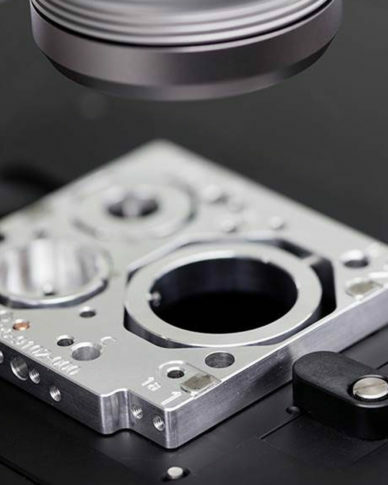 Smartzoom 5 is your smart digital microscope – ideal for quality control and quality assurance applications in virtually every field of industry. Quick and easy to set up, fully automated and equipped with dedicated quality assurance and quality control components, it’s so simple to operate, even untrained users will produce excellent results. How easy? Smartzoom 5 features a macro recording mode to enhance the workflow for repeat sample analyses of the same type in a step-by-step manner. 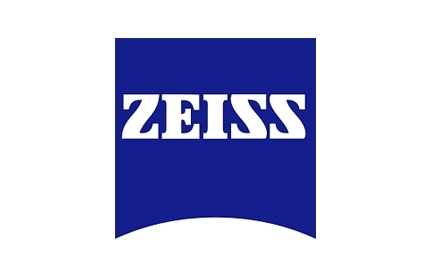 With Smartzoom 5, ZEISS puts the IQ into Industrial Quality. Your Smartzoom 5 incorporates highly intelligent quality assurance and quality control analysis (QA/QC) technologies. 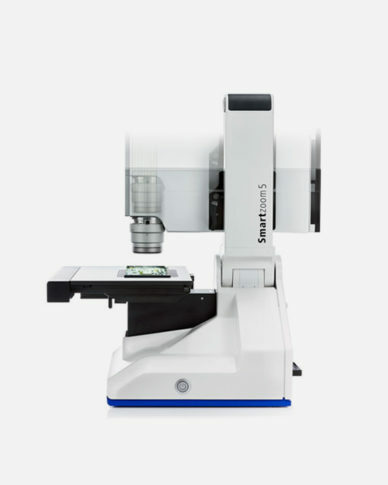 Your digital microscope comes with a number of integrated components: the optical engine combines three functions – zoom, overview camera and coaxial illumination in a single component. Your Smartzoom 5 always knows the status of all major components and corrects automatically for component variations. With Smartzoom 5, you have a choice of three different objectives of varying magnifications ranging from 10x to 1011x. The segmentable LED ring light integrated into the objectives is powered via the bayonet interface. Profit from smart safety features: if the objective touches the sample or your hand, the motor stops automatically, protecting both user and sample. Your Smartzoom 5 features a macro recording mode to enhance the workflow for repeat sample analyses of the same type in a step-by-step manner. 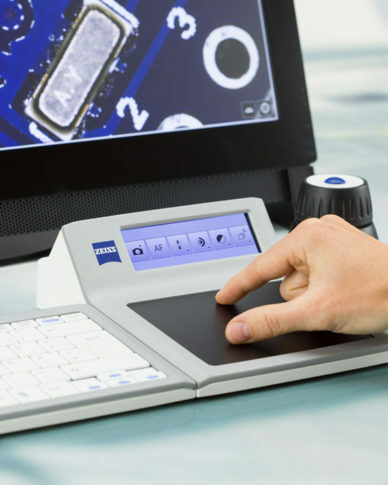 The integrated QA/QC graphic user interface combines with gesture control to support a seamless macro-to-detail workflow, allowing easy navigation at all times. Image presets and enhancement help you get the best image. 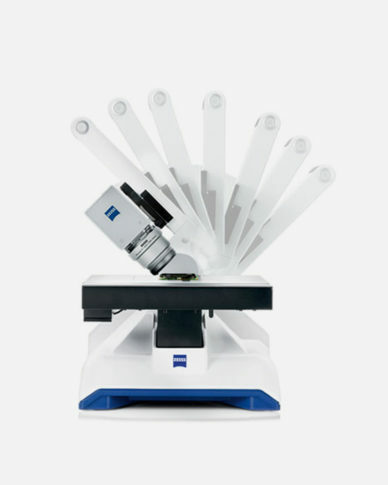 A number of image algorithms enable automatic measurements with this digital microscope. Orientation is simple with Smartzoom 5‘s integrated QA/QC graphic user interface supporting a seamless macro-to-detail workflow. The entire sample surface is recorded with separate optics. You can see instantly which areas of your samples are relevant for microscopic inspection. The workflow is neatly stored away, ready to perform the microscopic analysis again and again – step-by-step. For optimal presentation simply choose from preview images using best image or using live image enhancement functions such as HDR, noise filtering, sharpening and stabilization. Your Smartzoom 5 delivers fast, reproducible QA/QC measurements for routine as well as failure analyses. The system’s guided workflow in combination with calibrated components supports user-independent measurement results. Simply annotate your images and export reports easily to word templates. 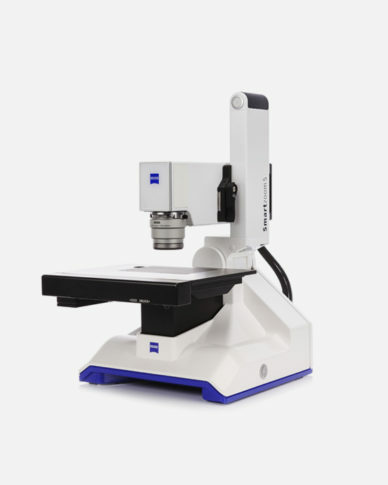 With the microscope’s swing arm you can view structures on the sample surface from continuously adjustable angles between -45° and +45°. As you do so, the pivot point of the swivel axis remains stable, and likewise the focus remains squarely on your sample. With Shuttle & Find you easily relocate regions of interest from Smartzoom 5 to your electron microscope. Define a region of interest with your digital microscope, and then relocate your ROI in your electron microscope within shortest time. Then align both images to create a new overlay image.